You'll be £6.00 closer to your next £10.00 credit when you purchase The Spartan Way. What's this? For a period of some 200 years, Sparta was acknowledged throughout the Greek world as the home of the finest soldiers. Xenophon called them 'the only true craftsmen in matters of war'. Nic Fields explains the reasons for this superiority, how their reputation for invincibility was earned (and deliberately manipulated) and how it was ultimately shattered. 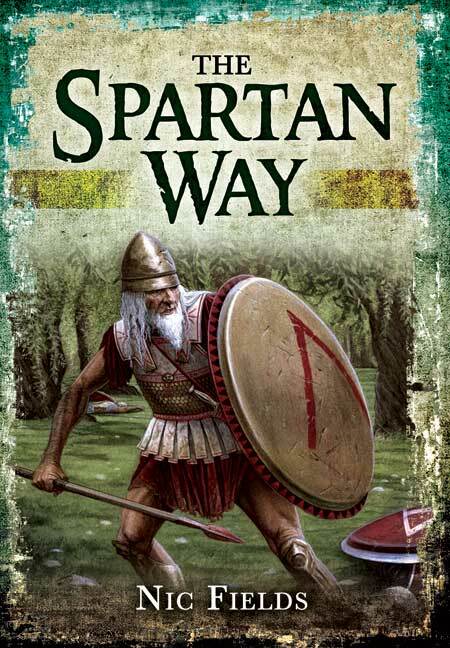 The Spartan Way examines how Spartan society, through its rigid laws and brutal educational system, was thoroughly militarized and devoted to producing warriors suited to the intense demands of hoplite warfare - professional killers inculcated with the values of unwavering obedience and a willingness to fight and die for their city. The role of Spartan women, as mothers and wives, in shaping the warrior ethic is considered, as are the role of uniform and rigorous training in enhancing the small-unit cohesion within the phalanx , and the psychological intimidation of the enemy. The final chapters chart the course of Sparta's successes through the period of the Persian and Peloponnesian Wars, through the Corinthian and Theban wars of the fourth century BC, which culminated with the shattering military defeats at Leuctra and 2nd Mantinea, and the years of her decline with the Spartans as a source of mercenaries for the wars of other states. Provides a perfectly competent account. I'm no expert on Sparta and was interested in extending my knowledge. This book proved ideal. What I particularly liked was that it didn't just describe Spartan practices but described what generally happened in Ancient Greece and then compared this to Sparta, thus improving my knowledge all round. I certainly enjoyed this and would recommend it. Dr Nic Fields started his career as a biochemist before joining the Royal Marines. Having left the military, he went back to university and completed a BA and PhD in Ancient History at the University of Newcastle. He was Assistant Director at the British School at Athens, then a lecturer in Ancient History at the University of Edinburgh. Now a freelance author and researcher based in south-west France and writing mainly for Osprey, his most relevant previous work is The Roman Army of the Punic Wars (2007). One previous work for us, Warlords of Rome, is in production.